Behind the Scenes: Potato Late Blight, There’s Blight on the Wisconsin Landscape! 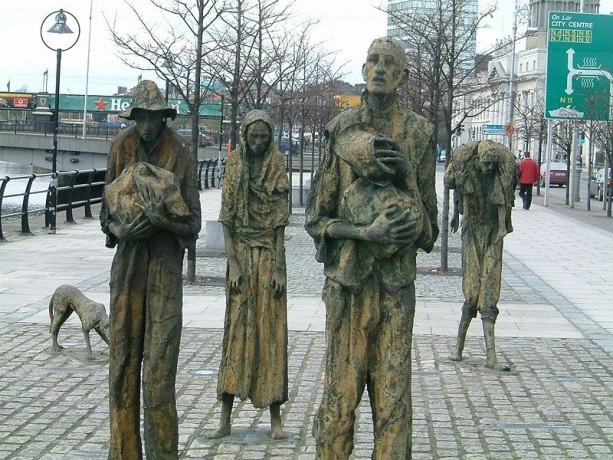 Late blight caused the Irish potato famine in the 1840s and 1850s. This disease and its related problems caused massive hunger, starvation and poverty, resulting in mass emigration from the region. This disease is still a concern today. The fungus which caused the Irish potato famine is still active today. It was identified in Portage County just last week. It can cause serious problems for potato, tomato, eggplants and other solanaceous crops today. Phytophthora infestans (“infests”) is the cause of potato late blight. It is a fast moving, community disease that growers, home gardeners and garden center managers must take seriously and properly manage to ensure a healthy, adequate food supply. There are many concerns for Wisconsin vegetable growers every year whether farmer or home gardener. Weather, growth problems, pests, water, market demand—but one pest problem, foliar or leaf blight, is especially challenging. This can commonly attack tomatoes, potatoes, carrots and cucumbers. These diseases cause perfectly healthy appearing green plants to break out in brown spots, turn yellow and die prematurely. Many home gardeners run to their local garden center for a remedy. But by the time leaves begin to yellow and the brown spots appear the disease may have progressed to a point where there is no stopping it.